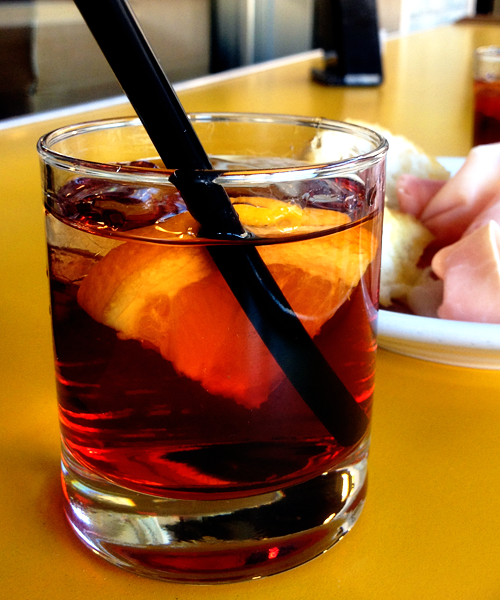 While we lingered here, Paalo decided to break the negroni streak with an unusal Italian beer. 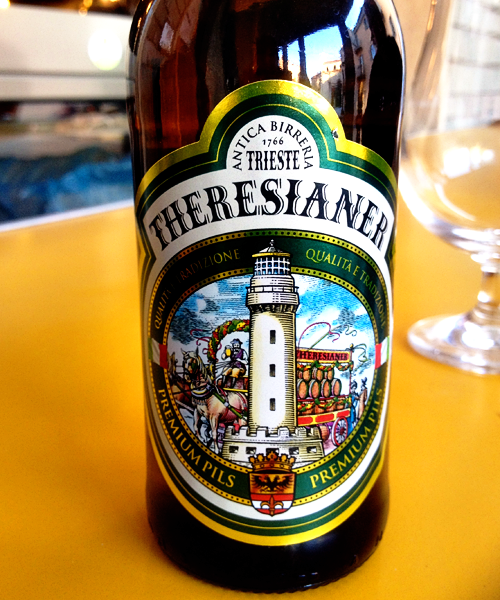 Birra Theresian from Trieste. Now depending on the which century you're in, Trieste may not actually be part of Italy. 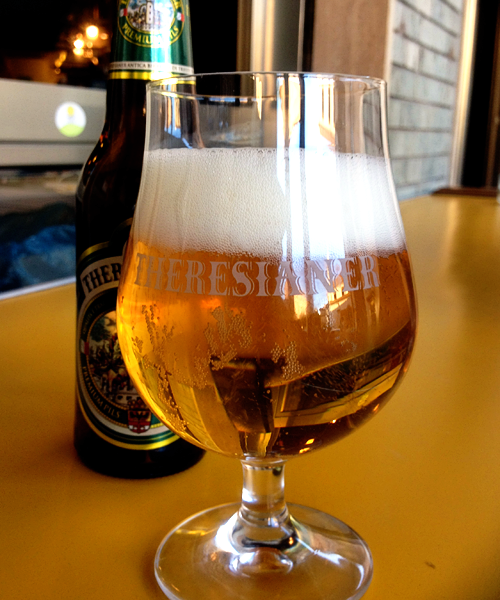 In fact in 1766 when the company was formed, Trieste was part of the Austrian empire which pretty much explains why they started a brewery. 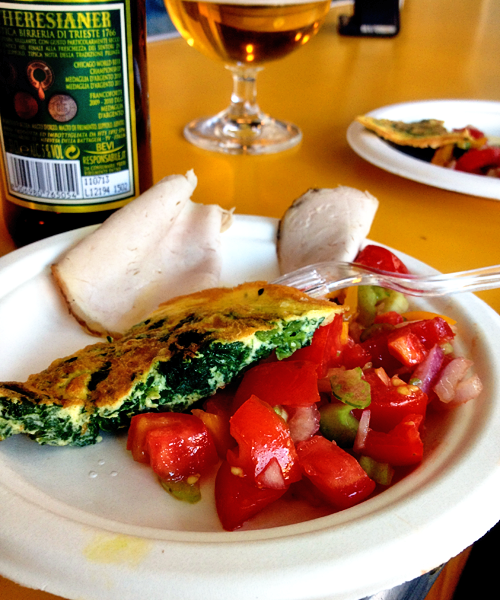 This is the Premium Pils - 5% alcohol, low fermented with Barley (Orzo) and matured for at least 2 months.